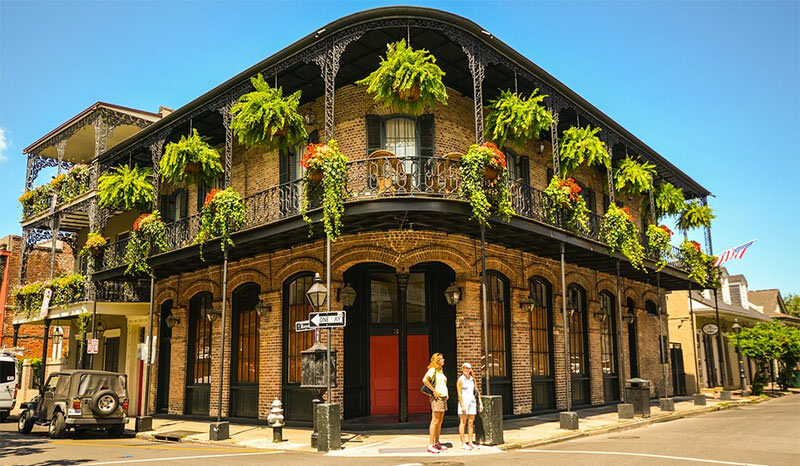 There are a number of reasons to visit the grand city of New Orleans, Louisiana—the food, the culture, Mardi Gras, etc.—but not to be overlooked on this list are the scores of great live music venues in the city, where avid lovers of music can take in some traditional New Orleans Jazz, Blues and Soul, or simply rock and out to some of the newer music of today. Not only is the city of New Orleans widely considered the birthplace of Jazz and the Jazz movement of the late 19th century, the city has continued this tradition throughout the years, maintaining and expanding its position as a musical city with an ever-changing ear. Whether you prefer a smoky, inky dark club with great cocktails and even better Jazz, an intimate locale at which to enjoy some indie rock, or even a large music hall where punk rockers blast the speakers in an effort to spread their message. New Orleans has exactly what you are looking for. Here’s just a few of the live music venues you may want to check out. Preservation Hall is perhaps the most emblematic live music venue in New Orleans. Opened in 1961, this incredible club is a jazz hall, non-profit organization and touring band all rolled up into one, featuring some of the finest jazz musicians in the world. Everybody who is anybody in the world of jazz has either played or caught a set at Preservation Hall, which is located in the French Quarter and comes alive every day of the week, particularly during the Mardi Gras festivities. While the hall doesn’t serve alcohol, you’re allowed to bring in your own as long as it’s in a plastic container. If one were to attempt to retrace the history of New Orleans’ rich music scene, it would probably begin on Frenchmen Street—a three-block section in what is now the slightly bohemian Marigny District. Frenchmen Street is home to many of New Orleans’ best clubs and music venues, such as the Maison and Spotted Cat—and now the Three Muses. Opened in 2010, the Three Muses is a relative newcomer to New Orleans’ music scene, but it has rapidly established itself as one of the premier clubs in the city. Featuring a variety of musical styles, including Jazz, piano soloists and even country and western, the Three Muses has become very popular for music lovers with an eclectic ear. In addition to the great music featured at the Three Muses, the club also offers a scrumptious menu of Bistro-style fare with a Cajun twist, such as its beer-braised pork belly and other southern offerings. Gasa Gasa is not your typical New Orleans club. Once an underground, hippie-style coffee shop, the club has been located in New Orleans’ Freret Building since 2013—a building that is home to an experimental art collective that continues to uphold the building’s artistic history. Looking at Gasa Gasa’s calendar of events, you will typically find performances by local and out of town indie bands, some established, some not, but each holding true to its indie roots. Catering mostly to the younger set, most performances only run between $10 and $15, thus leaving plenty of money for the afterhour’s parties around town. The club itself offers plenty to do and see besides the music. A fully-stocked bar of craft beers and interesting cocktail concoctions keep revelers from going dry, and special theme nights, such as the Thursday night “Corn hole” tournaments in the courtyard, draw hundreds of regulars and tourists each week. The décor is spare, yet modern, tending toward the artsy side, and while seating can be limited on busy weekend nights, most of the crowd doesn’t seem to notice this minor inconvenience. Considered one of the hottest live music venues in the city of New Orleans, the original Tipitina’s can be found in the Uptown region of the city, not far from the mighty banks of the Mississippi River. Many current and former musical greats owe a huge debt of gratitude to this wonderful club, as Tipitina’s has helped launch the careers of artists such as Harry Connick Jr., the Neville Brothers, Subdudes and Dr, John, all of whom got their start on this fantastic stage. You never quite know what you will hear at Tipitina’s. A quick glance at the most recent performance schedule and you’ll find both emerging and established rock bands, including some big name groups, as well as up-and-coming artists from across the musical spectrum, including jazz, soul, funk, R & B, and even a bit of Cajun zydeco music. Although clubs seem to come and go like the wind the Tipitina’s club has been rocking for generations and shows no sign of slowing down anytime soon. Best of all, if you too are a performer you can come to the club on Sunday nights for their all-out jam session, where emerging artists can try out their latest material. However, if you just want to listen, that is certainly okay, too, and you can even pick up one Tipitina’s emblematic T-shirts while you’re there, emblazoned with the distinctive banana logo that is now famous in the world of music. If you’re in New Orleans for jazz, do NOT head for the club known as Siberia, which features music that’s a far cry from that traditional style launched in the city. Siberia is a high-powered, frenetic club located in the emerging musical neighborhood of St. Roch on thriving Saint Claude Avenue. Here you will find a range of alternative music styles, most predominantly the ear-splitting punk music for which the neighborhood is becoming known, all delivered on a top-of-the-line sound system that would have older generations reaching for the ear plugs. The cover charge at Siberia is low and the bar is fully-stocked. The club also offers a great Slavic-themed menu of blinis, stuffed cabbage and the like, and hosts a Tuesday night comedy show each and every week for free.